Figure 1. Factory. An assembly line. We have learned that there aren’t enough resources to fulfill all of our wants and this reality forces us to make choices that have opportunity costs. How do we get the most we can from the resources we have? Over time, markets and trade have come into existence and have become highly efficient mechanisms for optimizing our use of resources and bringing us the most and best combination of goods and services. Think back to pioneer days, when the average person knew how to do so much more on his or her own than someone today—everything from shoeing a horse to growing, hunting, and preserving food to building a house and repairing equipment. Most of us don’t know how to do all—or any—of those things. It’s not because we’re not capable of learning them. It’s because we don’t have to. The reason for this is something called the “division and specialization of labor,” a production innovation first put forth by Adam Smith. The formal study of economics began when Adam Smith (1723–1790) published his famous book, The Wealth of Nations, in 1776. Many authors had written about economics in the centuries before Smith, but he was the first to address the subject in a comprehensive way. Figure 2. 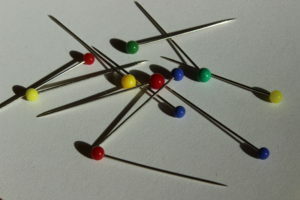 Pins. Who knew that making a pin was so complex? In the first chapter of the book, Smith introduces the idea of the division of labor, which means that the way a good or service is produced is divided into a number of tasks that are performed by different workers, instead of all the tasks being performed by the same person. To illustrate the division of labor, Smith counted how many tasks were involved in making a pin: drawing out a piece of wire, cutting it to the right length, straightening it, putting a head on one end and a point on the other, packaging pins for sale, and so on. Smith counted eighteen distinct tasks that were typically performed by different people—all for a pin! Modern companies divide tasks, too. Even a relatively simple business like a restaurant divides up the task of serving meals into a range of jobs: top chef, sous chefs, less-skilled kitchen help, host/hostess, waiters/waitresses, janitors, a business manager to handle accounts and paychecks, etc. 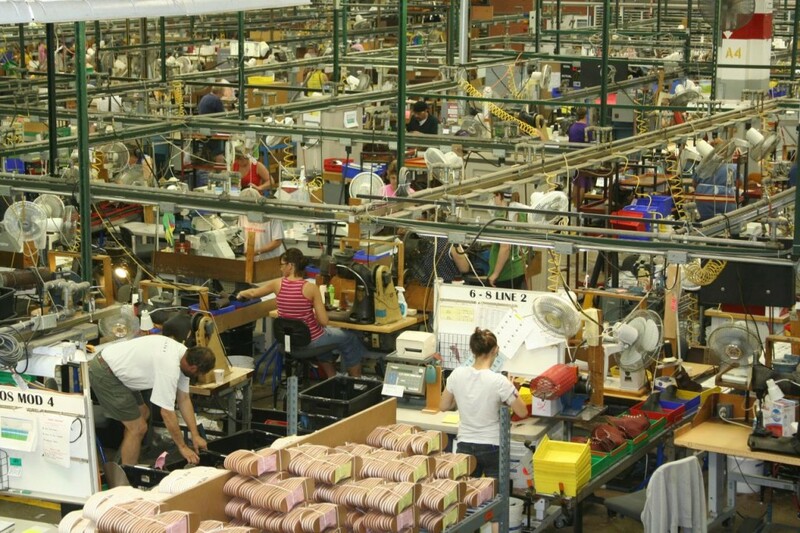 A complex business like a large manufacturing factory or a hospital can have hundreds of job classifications. When the tasks involved with producing a good or service are divided and subdivided, workers and businesses can produce a greater quantity of those goods or services. In his study of pin factories, Smith observed that one worker alone might make twenty pins in a day, but that a small business of ten workers (some of whom would need to do two or three of the eighteen tasks involved in pin making), could make forty-eight thousand pins in a day. How can a group of workers, each specializing in certain tasks, produce so much more than the same number of workers who try to produce the entire good or service by themselves? Smith offered three reasons.First, specialization in a particular small job allows workers to focus on the parts of the production process in which they have an advantage. People have different skills, talents, and interests, so they will be better at some jobs than at others. The particular advantages may be based on educational choices, which are shaped, in turn, by interests and talents. Only those with medical training qualify to become doctors, for instance. For some goods, specialization will be affected by geography—it’s easier to be a wheat farmer in North Dakota than in Florida, but easier to run a tourist hotel in Florida than in North Dakota. If you live in or near a big city, it’s easier to attract enough customers to operate a successful dry-cleaning business or movie theater than if you live in a sparsely populated rural area. Whatever the reason, if people specialize in the production of what they do best, they will be more productive than if they produce a combination of things, some of which they are good at and some of which they are not. Second, workers who specialize in certain tasks often learn to produce more quickly and with higher quality. This pattern holds true for many workers, including assembly-line laborers who build cars, stylists who cut hair, and doctors who perform heart surgery. In fact, specialized workers often know their jobs well enough to suggest innovative ways to do their work faster and better. A similar pattern often operates within businesses. In many cases, a business that focuses on one or a few products is more successful than firms that try to make a wide range of products. Third, specialization allows businesses to take advantage of economies of scale, which means that, for many goods, as the level of production increases, the average cost of producing each individual unit declines. For example, if a factory produces only one hundred cars per year, each car will be quite expensive to make on average. However, if a factory produces fifty thousand cars each year, then it can set up an assembly line with huge machines and workers performing specialized tasks, and the average cost of production per car will drop. Economies of scale implies that production is becoming more efficient as the scale of production rises. The ultimate result of workers who can focus on their preferences and talents, learn to do their specialized jobs better, and work in larger organizations is that society as a whole can produce and consume far more than if each person tried to produce all of their own goods and services. The division and specialization of labor has been a force against the problem of scarcity. Specialization only makes sense, though, if workers (and other economic agents such as businesses and nations) can use their income to purchase the other goods and services they need. In short, specialization requires trade. You do not have to know anything about electronics or sound systems to play music—you just buy an iPod or MP3 player, download the music, and listen. You don’t have to know anything about textiles or the construction of sewing machines if you need a jacket—you just buy the jacket and wear it. Instead of trying to acquire all the knowledge and skills involved in producing all of the goods and services that you wish to consume, the market allows you to learn a specialized set of skills and then use the pay you receive to buy the goods and services you need or want. This is how our modern society has evolved into a strong economy.